Because you deserve to be a little lazy with all that you do. 1. Get out of having to make lunch every morning by freezing a batch of PB&J sandwiches ahead of time. The sandwiches will keep for about four to six weeks, and be fully thawed and ready to eat by lunchtime. Learn more here. 2. If you can’t even with your kid pulling off their diaper, try putting their onesie on backwards. 3. Baby-proof your drawers with the least effort possible. Find this hack and more here. 4. You can also MacGyver your own outlet covers with Band-Aids. 5. Use the bottle to keep track of your kid’s doses. This lets you avoid having to be super organized and stuff. Learn more here. 6. Cut pancakes into toddler-sized bites with a pizza cutter. 7. Put magnets on your kid’s cups so that they stick to the fridge. This way your kid will be able to get a drink all by themselves. Find the easy tutorialhere. 8. Keep your kids from making a mess when eating in the car by putting their meal into an organization bucket. Ideal for those nights you don’t feel like making dinner. 9. 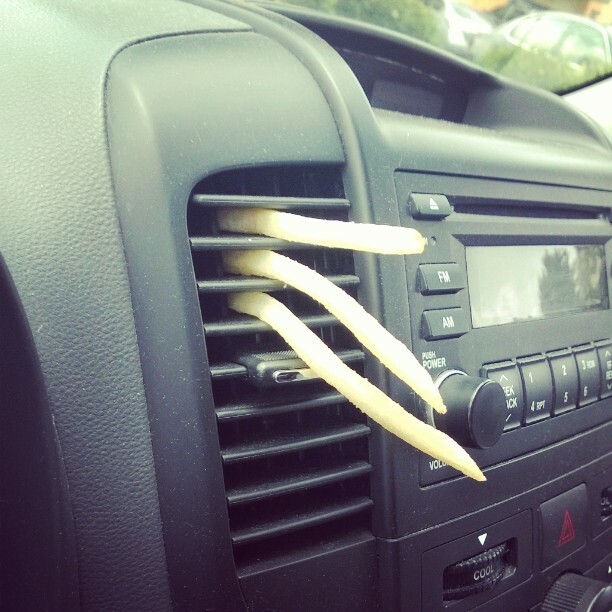 You can also use the air conditioner to cool French fries to a kid-friendly temperature. 10. Stop your kid from turning the lights off and on (and off again) with this hack using a milk jug. 11. 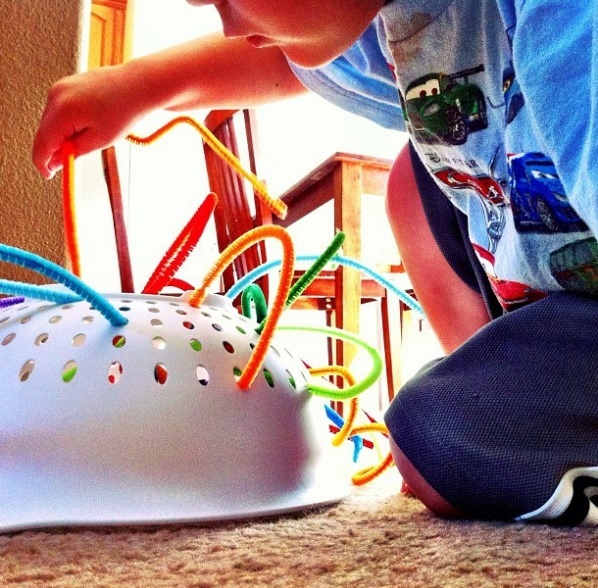 Keep your toddler entertained with little more than a colander and some pipe cleaners. You could spend hours making one of those elaborate crafts on Pinterest, or you could throw this together in 30 seconds. The choice is yours. 12. Make shoe shopping stress-free by bringing your kid’s feet (but not your kid) to the store. 13. Make separating your kids’ clothes easy using the dot method. Learn more about this hack — which is ideal for families with kids close in age —here. 14. Use a lint roller to quickly pick up glitter. Find this hack and others here. 15. 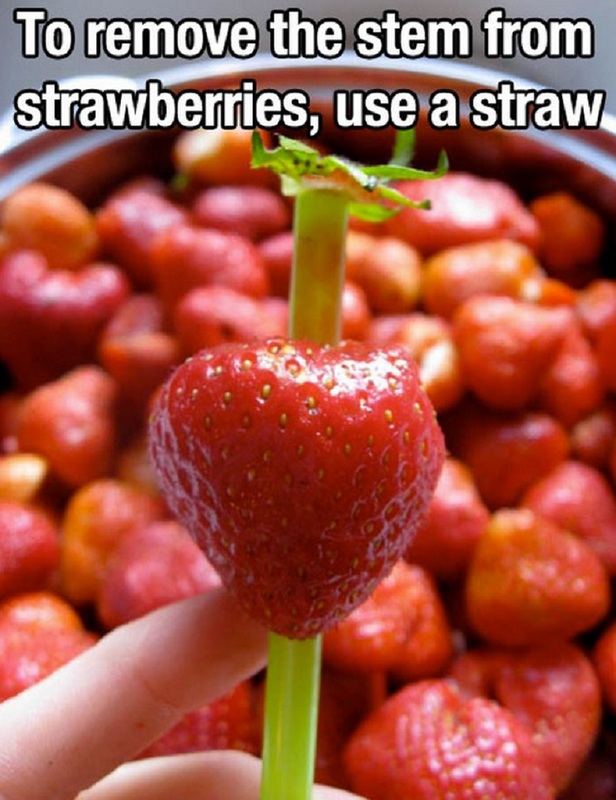 Use a straw to remove a strawberry’s stem in seconds. 16. Ready a mandarin orange for your kid to eat in four easy steps. Learn this game-changing hack here. 17. Put a target in the toilet bowl to improve your kid’s aim. This will seriously cut down how long you have to spend cleaning the bathroom. Buy it here for $5. 18. Freeze yogurt to make ice pops your kid will love. Easiest dessert ever. Learn more here. 19. Punish your kids without having to listen to them whine when you take away their electronics. 21. Put up a “spy window” so you don’t have to go all the way downstairs every time you want to check on the kids. 22. Use trash bags to refill your diaper pail. 23. 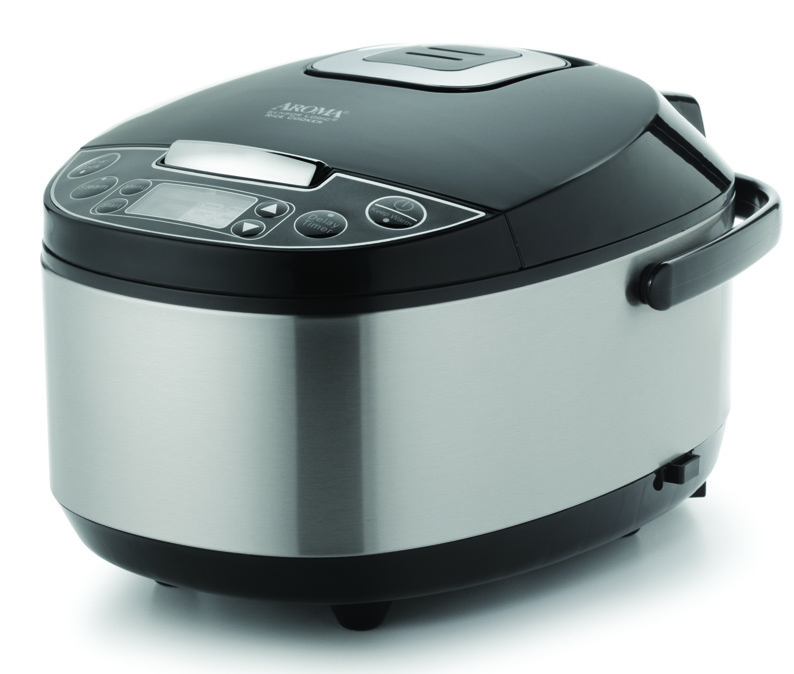 Cook family-sized portions of oatmeal in your rice cooker. This way you won’t have to stand over the pot and watch it cook, which is huge when you’ve got little kids to run around after. Learn more here. 24. Clean toys the easy way by putting them into the dishwasher. Cleans a lot of toys, fast. Learn more here. 25. Buy yourself some time on the couch by letting your kid go all Picasso in a box. 26. 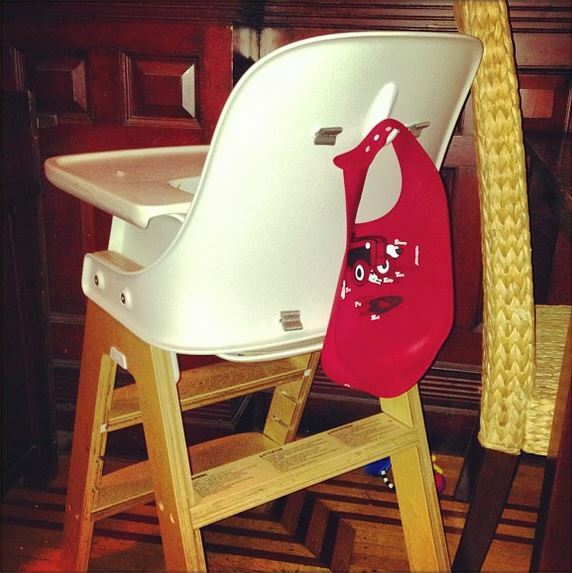 Put a command hook on the back of your baby’s high chair so you never misplace a bib again. 27. Put two layers of fitted sheets (separated by puppy pads) on your kid’s bed to make it easier to change their sheets in the middle of the night if they have an accident. Simply pull off the soiled fitted sheet and puppy pad, then let your kid go back to sleep on the dry sheet underneath. 28. Use a Sharpie to fix a Barbie when the head has come off and won’t re-attach.